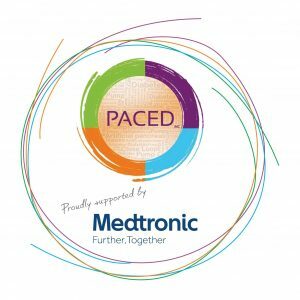 PACED would like to give a massive thank you to everyone who has responded to our PACED Pump Program launch, the response has been amazing showing just how important both insulin pump therapy and continuous glucose monitoring is to the Type One community. The first funded pump and 12 month CGM subscription we have available will be given to a Tasmanian Type One, as the “kick start” for the program was provided from the Tasmanian Premiers Discretionary Fund. Following news of the access to the Premiers Fund, Medtronic Diabetes ANZ donated one MiniMed Insulin Pump to enable a person in need to access SmartGuard technology which acts to prevent severe hypos. PACED is committed to improving the lives of those living with Type One Diabetes. Our mission is to help those living with the condition by promoting Type One Diabetes awareness, education, giving access to new devices and therapies that increase quality of life, easier management and safer outcomes now and into the future. Insulin Pumps supplied under the Program are fully subsidised, i.e. recipients are not required to make any co-payment. The program aims to improve access and affordability of insulin pumps for those with type 1 diabetes who do not have access to other means of reimbursement, such as private health insurance. And to offer access to CGM for those over 21 who do not have the financial means to purchase. You will need to discuss the suitability of insulin pump therapy for you or your child with your healthcare team. Who will advise if insulin pump therapy will be beneficial to your type one diabetes management. To be eligible to receive an insulin pump under the Program, an applicant must not be in receipt of, or be eligible to receive, any other means of reimbursement, including reimbursement via private health insurance, which may be used to assist the applicant to purchase an insulin pump. People who have previously received an insulin pump through another Charity or Program within the last 4 years are also ineligible to apply. The insulin pump initiation will be conducted by a healthcare professional team and the team makes a commitment to the transition and a system to ensure follow-up and ongoing support. You are not eligible to receive an insulin pump under this program if you have access to other means of reimbursement, such as private health insurance. Australians with private health insurance covering insulin pumps will generally be eligible for full reimbursement of their pump by their health fund, following the relevant waiting period attached to their cover. If you have private health insurance, please contact your insurer for more information about how to receive funding through private health insurance. For those already on insulin pump therapy wishing to apply for a CGM package, this does not apply but only eligibility for CGM will be considered. In the circumstance where your application has been assessed as eligible for subsidy and the funding for the Program has been exhausted, your application will be put on a waiting list for eligible applicants and you will be informed about the status of your application by PACED. Those short listed will be contacted to arrange an interview with a PACED representative. Program recipients will receive their pumps fully subsidised by the program. No payments will be made to the applicants or the recipients. You can opt out of the process at any time up to the point where PACED has placed an order for your insulin pump and the respective supplier has dispatched the pump.